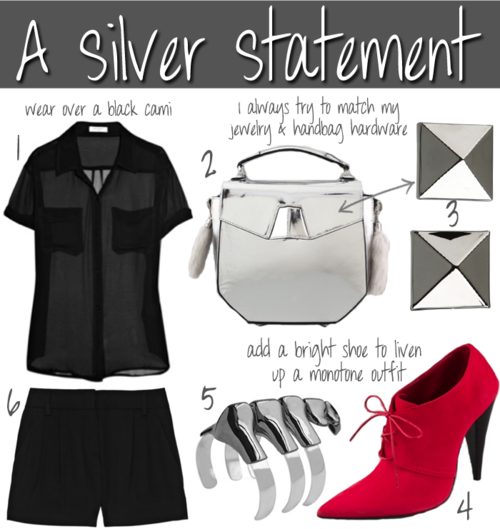 Make a statement this fall with some awesome silver accessories like these. Add black tights and voilà! I must get my hands on the dino bracelet, where I first saw here.